My daughter called to tell us about the torrential rainfall they just experienced. 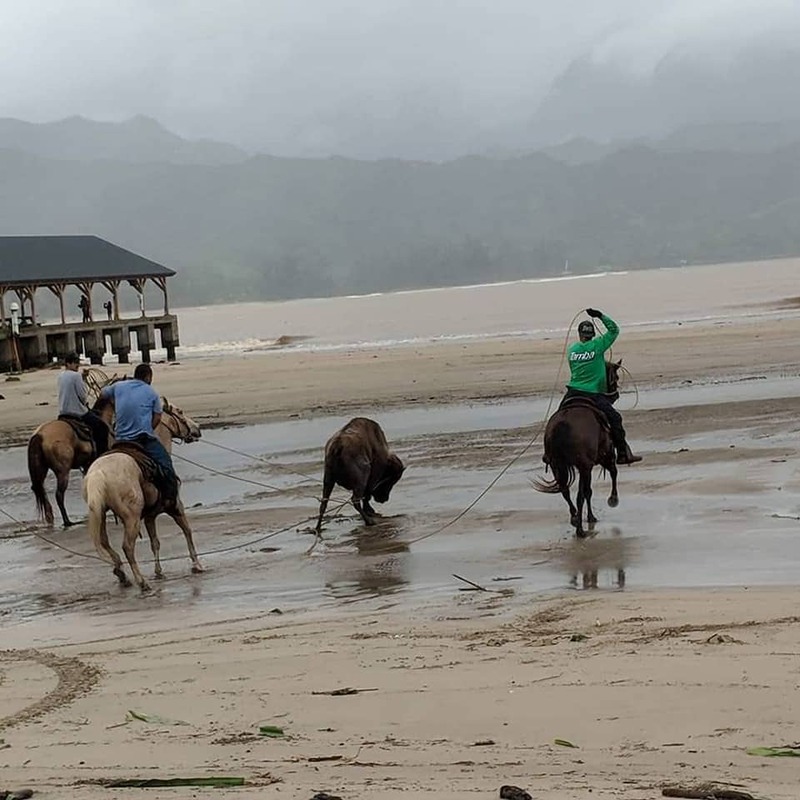 According to the National Weather Service, Hanalei got 28.15 inches of rain over the 24-hour period that ended at 2 a.m Sunday. The all-time record rainfall for Hanalei was set in March 2012 when 28.54 inches fell over 24 hours. the rain gauge stopped reporting. 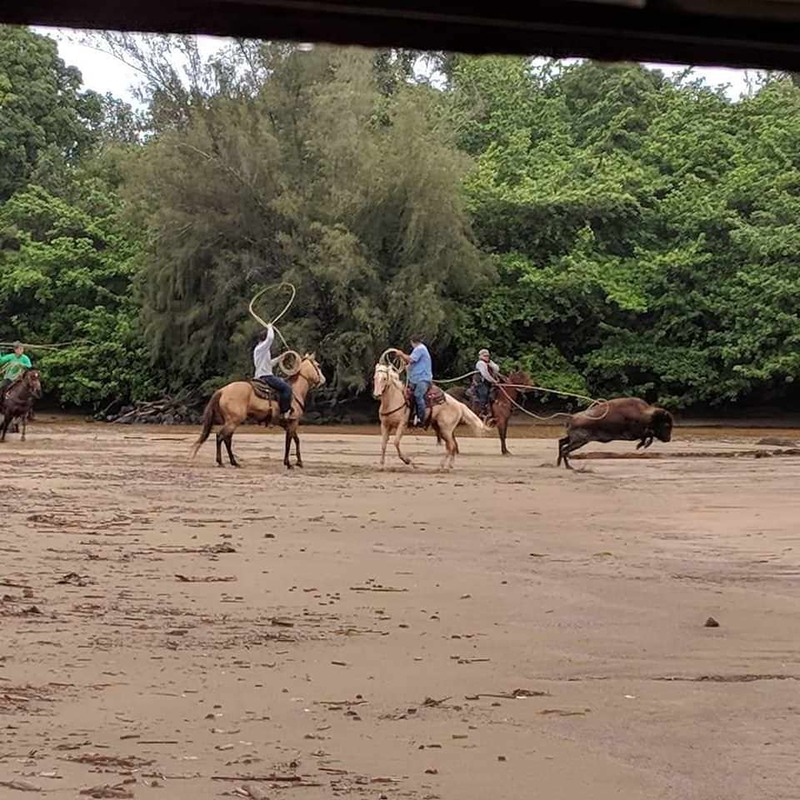 I'm sure there are many interesting (and devastating) pictures of the damage and results of the rains; she sent us one. Wow my wife and i were just there in April/may, what a beautiful place, sorry to hear of this. Hope your daughter and everyone there is safe and gets back on their feet soon! Wow my wife and i were just there in April/may, what a beautiful place, sorry to hear of this. Hope your daughter and everyone there is safe and gets back on their feet soon! 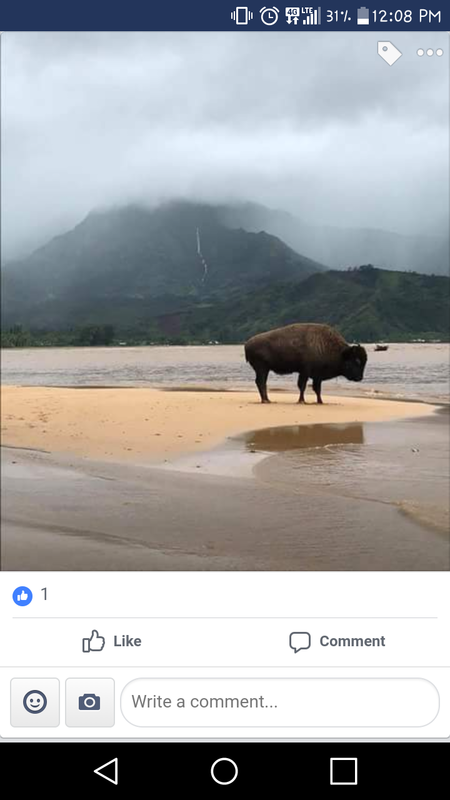 Thanks for the concern; she lives in an area in Princeville that did not suffer any flooding. Glad to hear she's ok. We honeymooned in the Princeville/Hanalei area and have been back more than a few times. One of the most beautiful spots on Earth, especially after a little rain when the bay is ringed by mountains with many visible waterfalls. But not that much rain. Wow. We were there last summer. Loved it. I took my family there last month. We didn't get to the north side of the island on this trip, but I remember the area being beautiful from past visits. I hope they are able to rebuild and recover quickly. I'm a member of a Toyota Tacoma forum and the HI members (it seems Tacomas are just about the most popular vehicle in HI) are posting some incredible pictures. I have a Kauai Tacoma story. My youngest grandson goes to pre-school with the daughter of a pretty wealthy guy and the families became friends. He admired a painting my son-in-law completed; and they worked out a trade. I haven't seen the painting, but the truck looks great. Wow... It must've been one hell of a painting! I own the same truck, except mine is silver. Please tell you son-in-law I really like his Thule rack board set up. I have factory roof racks with board pads for the long boards / SUPs and a tailgate surfboard pad/holder for the short boards. I just bought a flip out bed extender and mounted my tailgate board holder onto that, so I can now load my long boards in the bed. Bad news is, with the tailgate down, you lose the backup camera which is really handy when trying to squeeze the truck into some little spot by the beach. Plus, even with the bed extender, the long board still extends a few feet beyond the bed. That Thule rack keeps the boards up and kind out of reach from admiring eyes. I think I paid $90 for the fin on one of my long boards. Hanging off the back of my bed, someone could pop it off in a second.